After years of meandering about in modern and futurist space wars, Call of Duty is finally going back to its roots – World War II. Whether this is a response to fan complaints or an answer to Battlefield 1 is a matter for debate. Also in response to EA, Activision and developer Sledgehammer Games have made one huge stride: a playable female character. 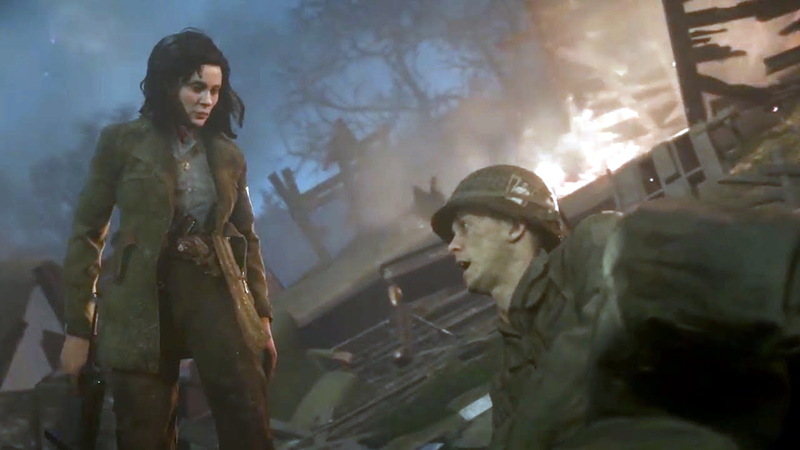 This isn’t the first playable female character in Call of Duty, or even the first in a World War II setting. 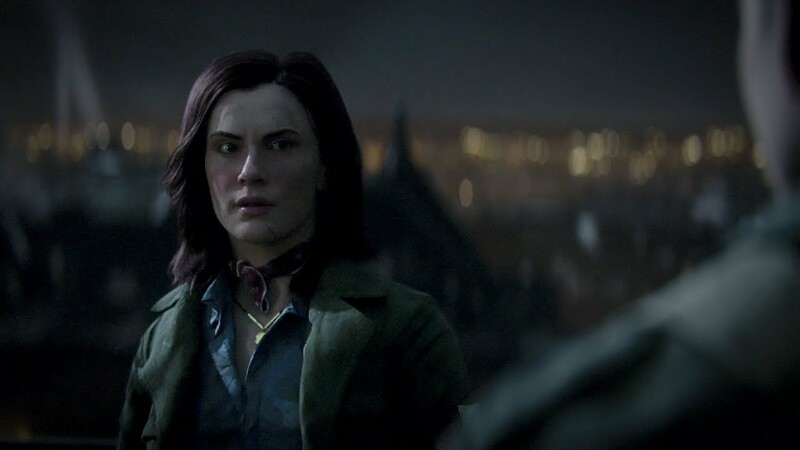 That honor falls to Tanya Pavelovna in Call of Duty: Finest Hour, released way back in 2004. 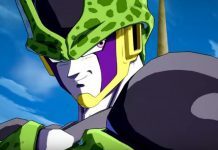 But as politically charged as gaming feels now, this feels like a statement as it is about gameplay or story. Christened Call of Duty: WWII, players will at some point take the role of a French resistance fighter Rousseau. 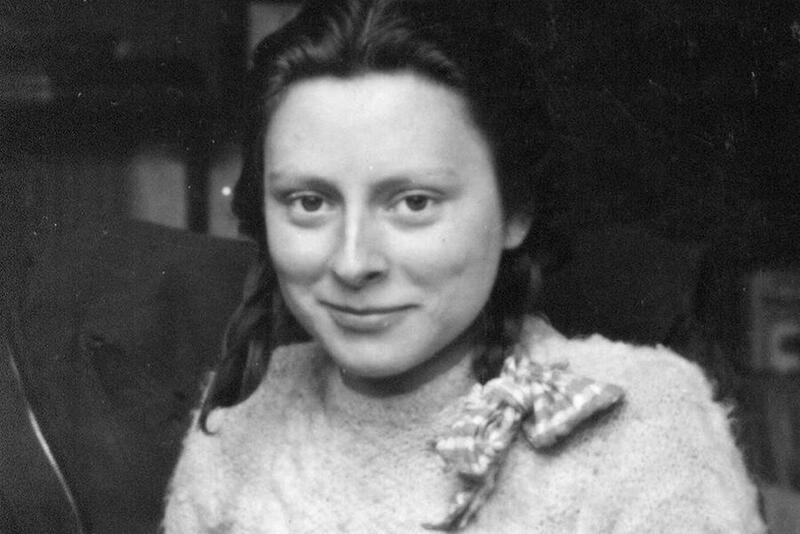 She joined the resistance after the Nazi’s took her husband and son. She’s since risen through the ranks to become the local group’s leader. At only 19 years old, Rousseau shows the diversity of French citizens who rose and fought Nazi oppression. Just like Battlefield 1, Call of Duty: WWII doesn’t need to twist history into pretzels to make this happen. The Second World War couldn’t have been won without the participation of women. Many women left behind their past lives to take jobs at factories. Some even joined the military as nurses, secretaries, and radio operators. But beyond these peacetime roles, women were also called into service in more dangerous roles – and they answered. The German blitzkrieg steamrolled France at the start of World War II in just 46 days. By June 14, 1940, it was all over. The Germans established the government of Free France, better known as Vichy France. This new government was friendly to Nazi Germany, even ordering troops in her North African colonies to oppose an Allied invasion in November 1942. The French Resistance began almost right away. It kicked off on August 21, 1941, when French communist party member Pierre Georges assassinated German naval officer Anton Moser in the Paris. The Germans retaliated by killing French citizens throughout the country, inspiring a rebellion. Resistance groups sprouted up all over France, and organized under the guidance of former French general and future President Charles de Gaulle. Women fought in the French resistance from the very beginning, but there numbers were small compared to other resistance movements in Europe. 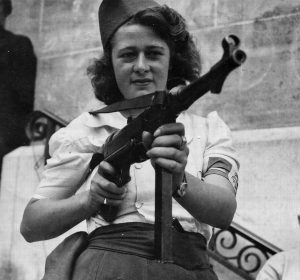 Most women in the French resistance served more as spies, relaying information between different cells and transporting weapons, ammunition, and food from one rebel group to another. But Rousseau in WWII is not entirely fictional, in fact there’s a good chance she’s based off one or two particularly famous resistance fighters. Simone Segouin was a French partisan from the Francs-Tireurs et Partisans, a resistance group composed of members of the French Communist Party. Segouin’s first act of resistance was stealing a bicycle from a German soldier and using it to deliver messages between members of the group. She later stole a German MP-40 submachine gun, which she would later start taking with her into combat missions. 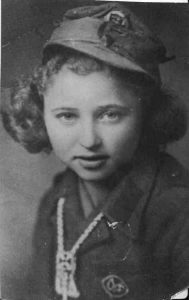 Eventually she was tasked with blowing up bridges, derailing trains, and later in the war helped captured 25 German soldiers. 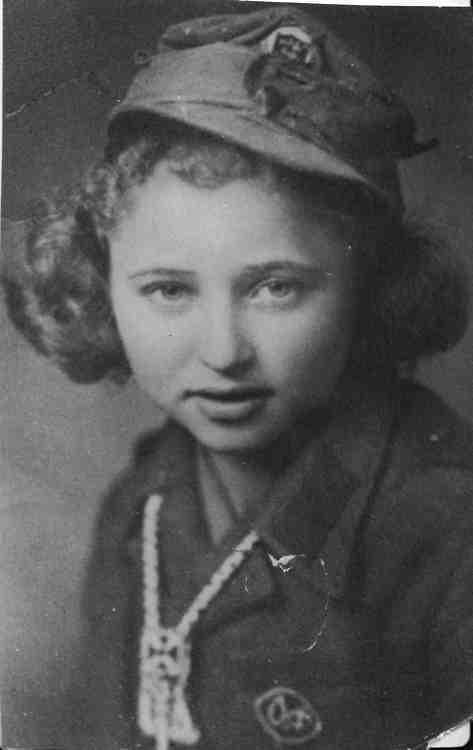 She was only 18 during the Liberation of Paris, which she also took part in. Another, a more reluctant soldier, was Lucie Aubrac. Aubrac and her husband, Raymond, began running the underground newspaper Libération, with Emmanuel d’Astier, in 1941. After two years, Raymond was captured in an operation designed to capture de Gaulle’s leading general, Jean Moulin. Lucie traveled to Lyon where he was being held, and arranged a meeting with Klaus Barbie, head of the SS in Lyon. Barbie was known as “the Butcher of Lyon” for personally torturing and killing his prisoners. Aubrac, who was pregnant at the time, told Barbie that Raymond was the father, but that the two were unmarried. Being a woman of honor and decorum, it wouldn’t do to have a child without a husband, or so she told Barbie. This worked, and Barbie agreed to temporarily release Raymond for a wedding. 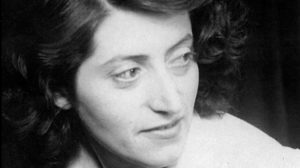 When Raymond and thirteen other members of the resistance were being transported, Lucie Aubrac and a handful of other partisans ambushed the truck, killing the driver and five other guards. They freed Raymond and the others, and fled to London for the rest of the war. Simone Segouin and Lucie Aubrac are only two of just thousands, possibly tens of thousands of French women who put their lives on the line to fight Nazi tyranny. An article for The Telegraph illustrates the risks many unsung heroes of the resistance took every day. France wasn’t the only occupation nation with a strong resisting force. All across Nazi occupied Europe, resistance cells popped up. You could write a book about the numerous women who fought, from virtually every nation that weren’t forgotten so much as they remained unknown to the rest of the world to begin with – Anne Sofie Østvedt from Norway, Ada Prospero Gobetti in Italy, or Maria Georgalakis in Greece. The Second World War is made up of hundreds of thousands, millions of stories that stir the well of emotions. For all the horrific crimes against humanity and the tales of death and destruction, there are some tales that can bring a smile to your face. There are also those that shock and disgust you, in ways you didn’t think possible in a war that featured genocide on a scale we’ve never seen before or since. Or maybe they aren’t shocking, so much as they are the ringing confirmation throughout history of long-known silent horrors that women endure every day that many men, myself included, have been either willfully ignorant of or ignored. That is, more or less, the position the Dutch Oversteegen sisters found themselves in, Truus at 16 and Freddie at only 14. According to Freddie in an interview with Vice, one day a man came to their door and asked their mother if they could join the resistance. It was easy as that. They joined, and their job was seducing German soldiers and luring them into a forest, where a man would shoot the soldiers dead. Imagine being in their position. One day you’re sitting at home and life is normal, the next Nazi’s have taken over your town, and at the age of 14, you’re asked to seduce those Nazis and lure them to their execution in the woods. In the interview, Freddie doesn’t sound too torn up about any of it, saying she doesn’t have long because she has a game of Scrabble to get to with her friends, before cutting the interview off to make a sandwich. She even jokes at one point that her sister “was an unsightly child.” That doesn’t sound like someone torn up about the horrors they faced, at least on the outside. It was just how life was for her, and millions of other women and men around the globe. 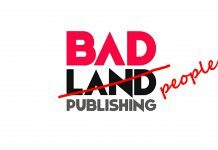 Such as Elena Lagadinova in Bulgaria, another 14 year old forced to fight. You’d expect to find her story used as the basis for a super hero origin, until you remember the gruesome reality of it. During World War II, Bulgaria was allied to Nazi Germany for the majority of the war. King Boris III was strongly pro-Nazi, and helped Germany and Italy occupy Greece after it fell in April 1941. By 1943, armed groups sprang up all over the country to fight both the Wehrmacht Germans stationed in Bulgaria, as well as the Monarch. King Boris III came down on partisans hard, deploying the Gendarmerie, part of the Ministry of Internal Affairs. The Gendarmerie attacked partisans and civilians indiscriminately for years, resulting in the outbreak of a civil war. On May 31, 1944, the Gendarmes came to Razlog, home to Elena Lagadinova and her family. Without a care in the world, the Gendarmes threw grenades into Lagadinova’s home. She had just enough time to escape before the house was destroyed. Eventually, she met up with her three elder brothers and parents. From that moment on, she joined the partisans in the nearby Rhodope Mountains. She developed a reputation as a fierce fighter, earning the nickname “the Amazon,” named after Greek mythology (and what we’re quickly learning to be more real than we previously knew). During the war, her brother was killed, be she stayed with the resistance even after the monarch was overthrown, and the new Bulgarian government joined the Allies. Germany, Italy, and Bulgaria weren’t alone in the axis forces. Joining them in the east was the Empire of Japan, who had been their own massive land-grabbing campaign since the turn of the 20th century. Naturally, you’d expect there to be resistance movements in Asia and the Pacific islands to rival those in Europe. Indeed, there were such movements in Japanese occupied nations, notably occupied China, Hong Kong, and Vietnam. There was even a resistance army in India, fighting their British occupiers. 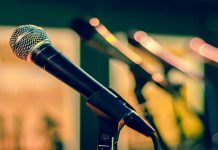 Why these movements never get the attention of their European counterparts is discussion for another article – and perhaps another website at that – but it’s important to at least mention them here. Because they get less coverage than those in Europe, there isn’t much information to go on in the west about these organizations or their efforts. Two examples of such partisans are from the Filipino Hukbalahap, an anti-Japanese resistance group. Elena Poblete was the daughter of one of the leaders of the some 15,000 strong group. As a leader herself, she was killed in 1943 after the Japanese tracked her and her men to a village. Poblete rushed to the frontline after ordering the majority of her soldiers to retreat into the jungle in groups. 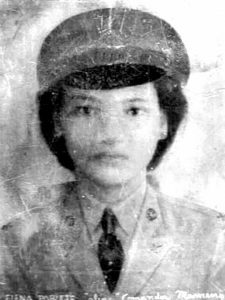 Then there was Captain Nieves Fernandez, who led a series of raids on Japanese camps and supply lines throughout the war. She ordered her soldiers to capture as many weapons as possible, but when that wasn’t possibly, they crafted their own guns out of gas pipes and filled with with gunpowder and nails. It’s hard to say exactly who influenced Rousseau in Call of Duty: WWII, if anyone. Chances are she’s an amalgamation of several women and the French resistance as a whole. It’s great to see she’s not only a member of the Resistance, but also the leader of a local cell. While women didn’t often fight in the French resistance, it’s not uncommon to see them lead smaller cells. The latest CoD is also notable for the fact that its multiplayer lets you play different races and genders. 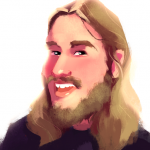 Charlie Hall at Polygon describes his experience having to kill a black woman Nazi in a multiplayer match. This is wildly inaccurate from a historical standpoint, but it also raises another question. Is this acceptable? Many have long asked for inclusion in gaming, but does that include making black women Nazis? Let us know in the comments below how you feel about this; there’s a nice, juicy think piece right there.